Winner of Jinja East parliamentary bye-election Paul Mwiru. 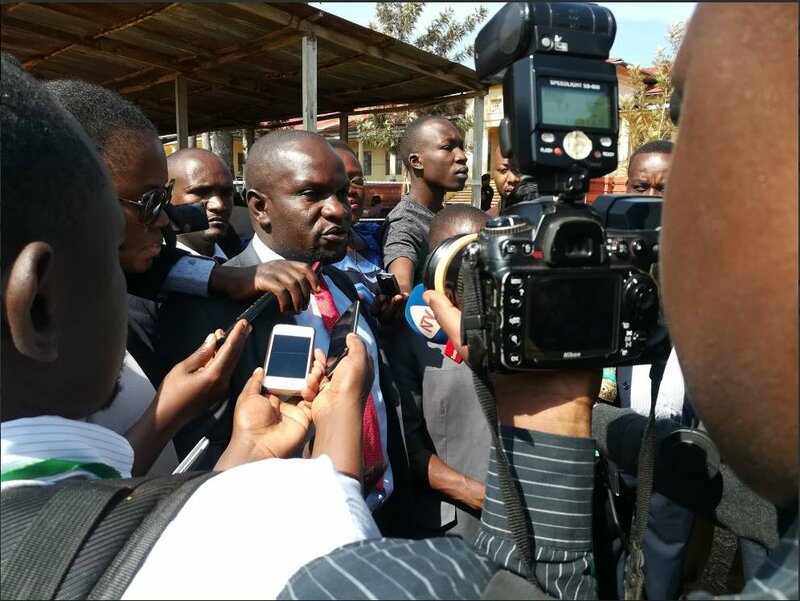 Forum for Democratic Change candidate, Paul Mwiru has been declared the winner of Jinja Municipality East beating his close rival of Nathan Igeme Nabeta of National Resistance Movement party. 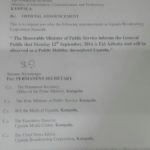 The Electoral Commission announced Mwiru winner with 6,654 votes against Nabeta who scored 5,043 votes. 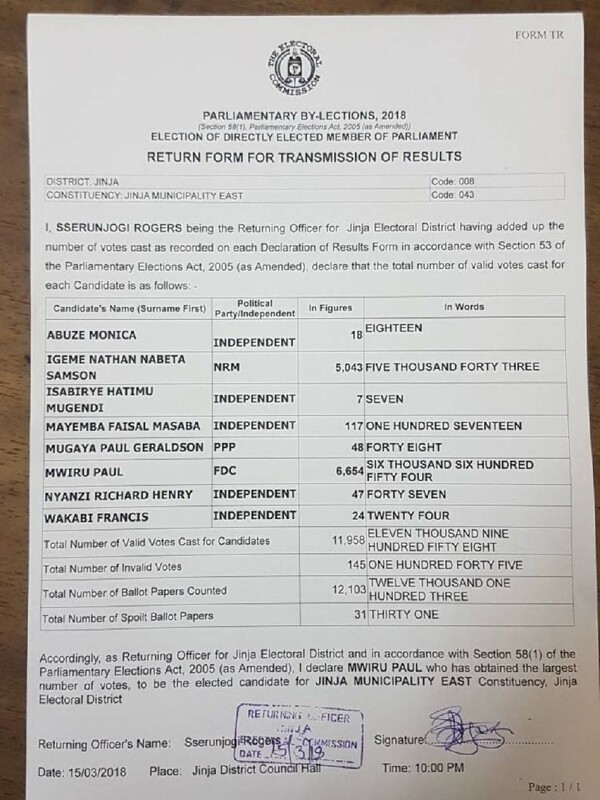 Jinja District Returning Officer, Rogers Sserunjoi announced the result this night at Jinja Municipal Hall. 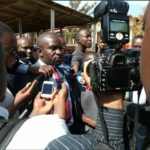 “Accordingly, as a Returning Officer, for Jinja Electoral District and in accordance with section 58(1)of the Parliamentary Elections Act, 2005, (as amended), I declare Paul Mwiru who has obtained the largest number of votes, to be the elected candidate for Jinja Municipality East constituency, Jinja District. The other five contestants in the race couldn’t get 1000 votes. Signed declaration form announcing Paul Mwiru as winner of Jinja East Municipality bye-election. The Jinja East parliamentary seat fell vacant after a panel of three appellant court judges threw out Nathan Igeme Nabeta, who was wrongly declared Member of Parliament by then Jinja district returning officer Anthony Mwaita in 2016. Consequently, the judges ordered for fresh elections.